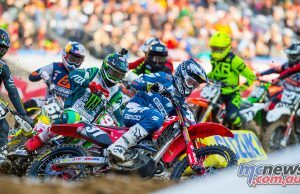 Australian MX Nationals Dates Announced? 158 riders turned up to tackle the 2018 Wildwood Rock Extreme Enduro but despite the best efforts of the local punters it was international sensation Wade Young who took just under three hours to win the event for the second year in a row. 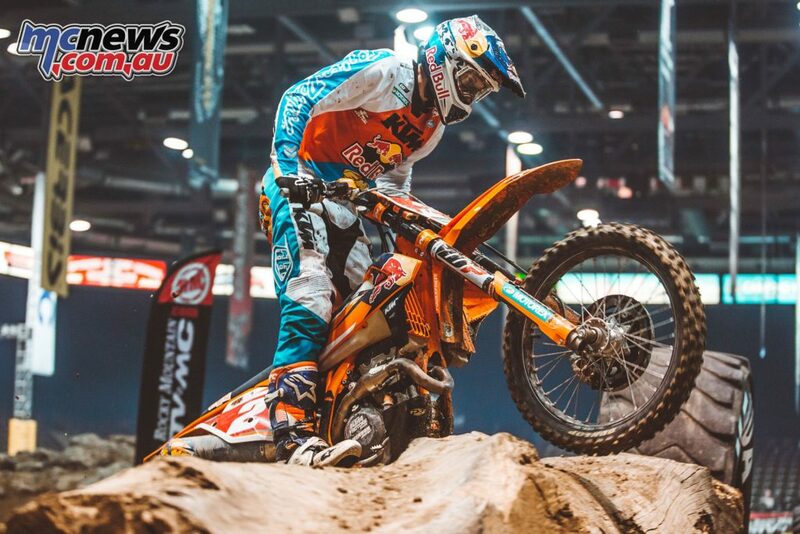 Young won the event by completing six laps in 2 hours and 51 minutes while second placed rider Wade Ibrahim ended the day some ten minutes behind Young but almost eight minutes ahead of third placed Tim Coleman. 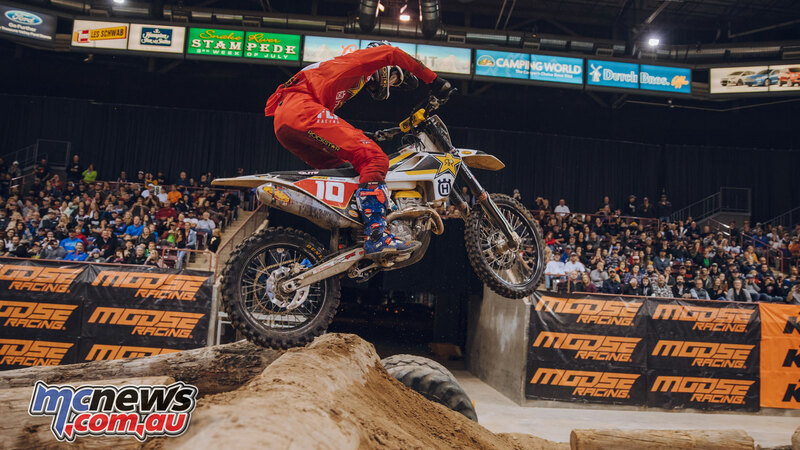 Colton Haaker has won his second AMA EnduroCross championship with a conservative second place finish at the Boise finale while Cody Webb did everything he could to hang onto his number one plate by taking the win in front of another large and enthusiastic crowd. Third place for the night went to Ty Tremaine, who also narrowly beat Kyle Redmond for third in the championship after both battled for most of the main event. 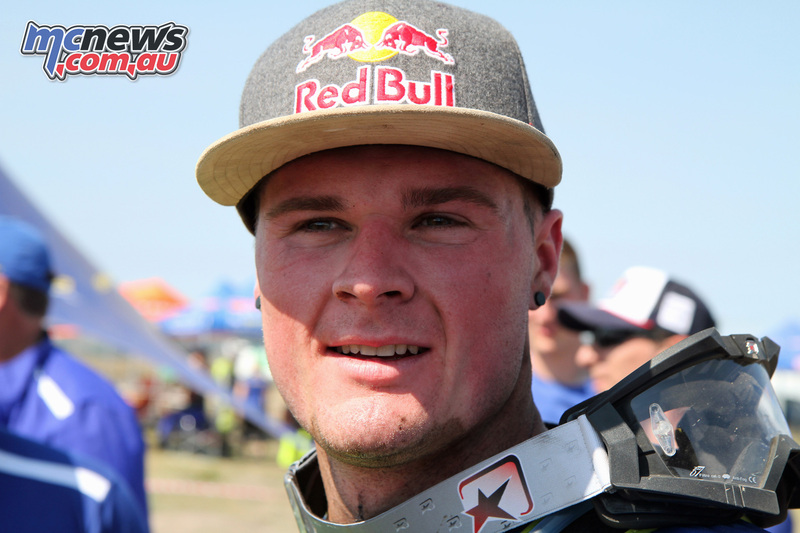 Ty Cullins blasted his Beta 300 two-stroke to the front at the start of the main event, just ahead of Haaker and Webb. The two championship combatants moved past Cullins, who had troubles and dropped back to ninth by the end of the first lap. Haaker led the first two laps and Webb jumped a huge log double to close right up to his back wheel and then made a pass for the lead on lap three. The annual World Vet Motocross Championship was held at Glen Helen in California last weekend and you will recognise many a rider in the results below including ANZACS Daryl Hurley, Tony Cooksley and Barry Surwaski. Hurley was the star performer with a win in the 40+ Pro class and hard fought 4th in the 30+ Pro class while Surwaski managed a 10th in the 40+ Pro class despite being on a YZ250F against a full field of 450s. Round three of the Rockstar Triple Crown Championship took place in Quebec last weekend and the final featured a controversial finish between title contenders Cole Thompson and Colton Facciotti – the result of which is under investigation by the promoters and the governing body. Facciotti held the lead over Thompson going into the final corner where Thompson ran into the side of Facciotti as they exited the corner before going over the finish line. Both riders crashed and Facciotti went off the side of the finish line jump, landed on his back and despite Facciotti going over the finish line first Thompson was credited with the win, with Facciotti taking second while Phil Nicoletti finished third. Facciotti did not attend the podium celebration after the race and was kept in the hospital overnight with a lung and back injury. Derek Schuster confirms Colton is out for the remainder of the season. Jess Pettis got the win the 250 class ahead of Logan Karnow and Shawn Maffenbeier and with one round remaining takes an 11 point lead in the championship. Despite still feeling the effects of a chest infection that has reduced him to the couch for several weeks Honda rider Cody Cooper has once again won the annual Waikato Motocross Championships near Te Kuiti last weekend. 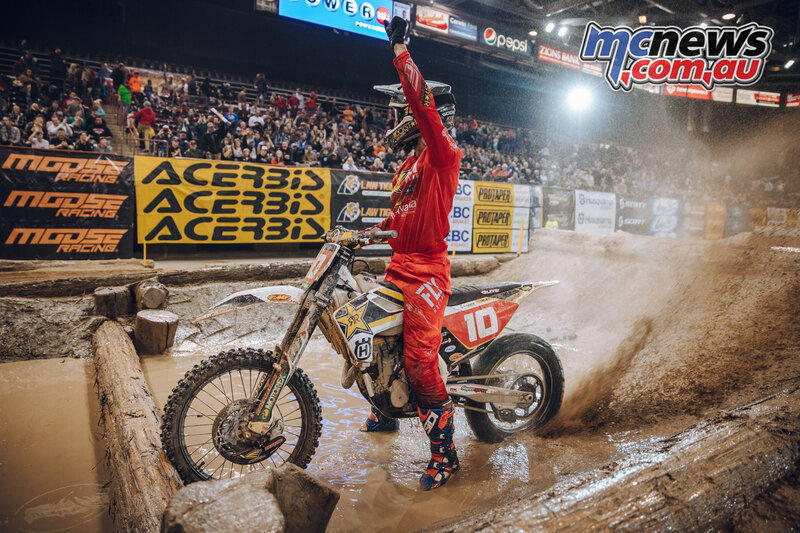 After arch rival Kayne Lamont was injured Cooper easily accounted for Cohen Chase and Reece Walker on a stock standard 2019 Honda CRF450R. The 35 year old Cooper will now look at getting his bike and body in shape for the up-coming New Zealand Motocross Championships. 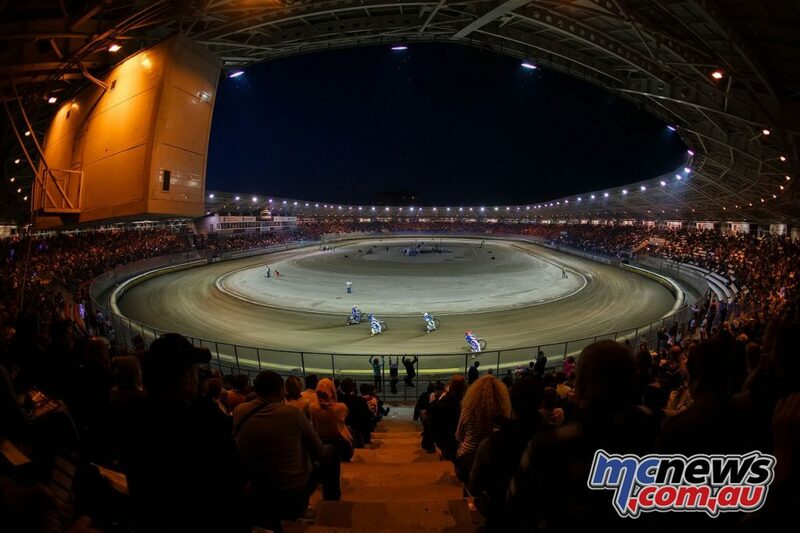 World Championship speedway is bound for Russia next year as the reigning world champions host the Monster Energy FIM Speedway of Nations (SON) Finals in Togliatti on July 20 and 21. The country has been a huge force in the ice speedway world, with Togliatti’s Anatoly Stepanov Stadium a regular venue for world-class events, including the 2019 FIM Team Ice Speedway World Championship on February 16 and 17. BSI Speedway managing director Torben Olsen is excited by the prospect of bringing the sport’s biggest names to Togliatti. 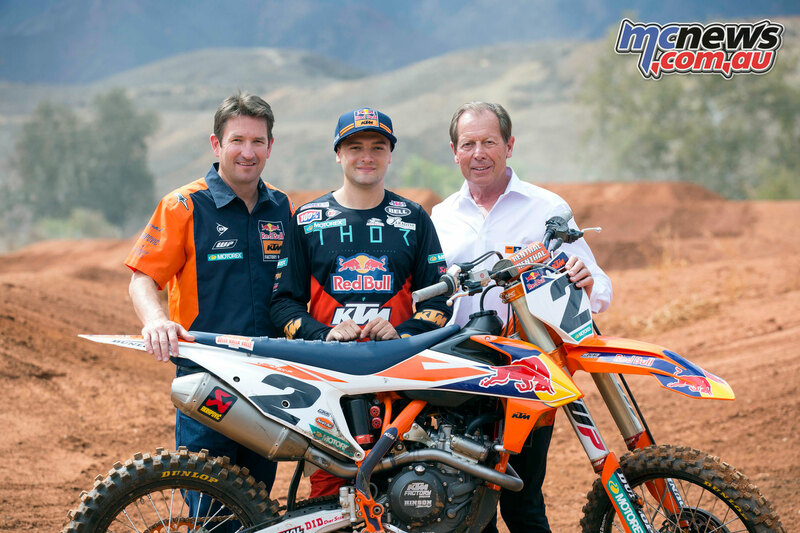 Just a week after confirming that the 2017 MX2 World Motocross Champion Pauls Jonass will compete in the MXGP class on Husqvarna machinery, the iconic brand has backed that up with the signing of Jed Beaton, Arminas Jasikonis and Alvin Ostlund for the 2019 World Motocross Championships. 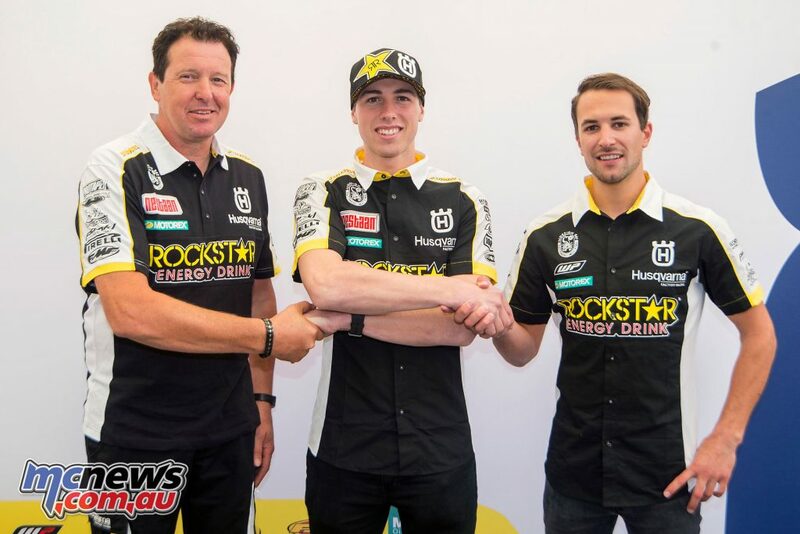 Australian star Beaton will join Thomas Kjer-Olsen with the Rockstar Energy Husqvarna Factory Racing MX2 team for the 2019 and 2020 FIM Motocross World Championship seasons under the guidance of former FIM 500cc Motocross World Champion Jacky Martens. Jasikonis will race for the Rockstar Energy Husqvarna Factory Racing MXGP team throughout the 2019 season and the 21-year-old racer from Lithuania will partner Jonass in a highly promising two-rider team that will compete in the MXGP class. Swedish rider Alvin Ostlund will race the 2019 MX2 championship for the Revo Husqvarna which will also become a Factory supported satellite team for 2019. “It is finally official now, I can say I have signed for Revo Husqvarna for 2019! It is a very good bike and I am looking forward to the season ahead next year. Hopefully we can have a good winter now and then this will mean a good start to the season. I am doing both the British and the MXGP series next year, this is a lot more riding then I have ever done before as I have only ever done one series. I have been with Yamaha for the past 8 years and so this is a big change for me, the Husqvarna FC 250 is totally different with the engine and suspension but as soon as I got on the bike I enjoyed riding it. It feels good, I can’t wait! Rockstar Energy Husqvarna Factory Racing have announced that Trevor Bollinger will join the squad for the 2019 Amsoil Grand National Cross Country Series as the teammate to Thad Duvall, who finished second in this year’s series. 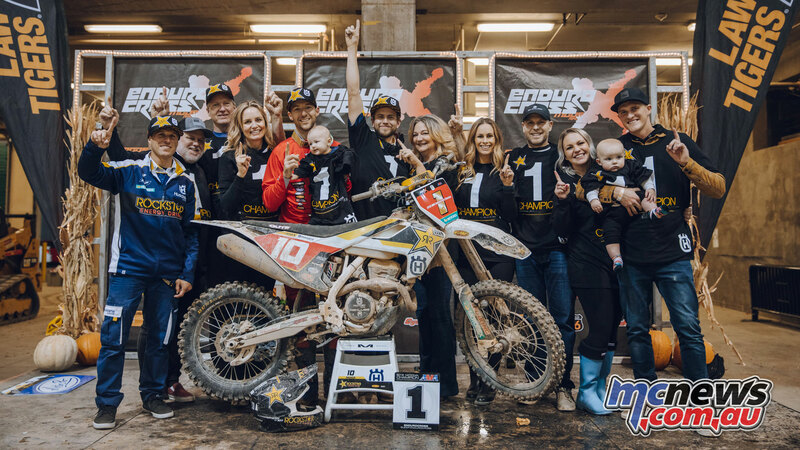 At Rockstar Energy Husqvarna, Bollinger takes the place of veteran (and 2010 GNCC Champion) Josh Strang, who took sixth overall in this year’s GNCC points. 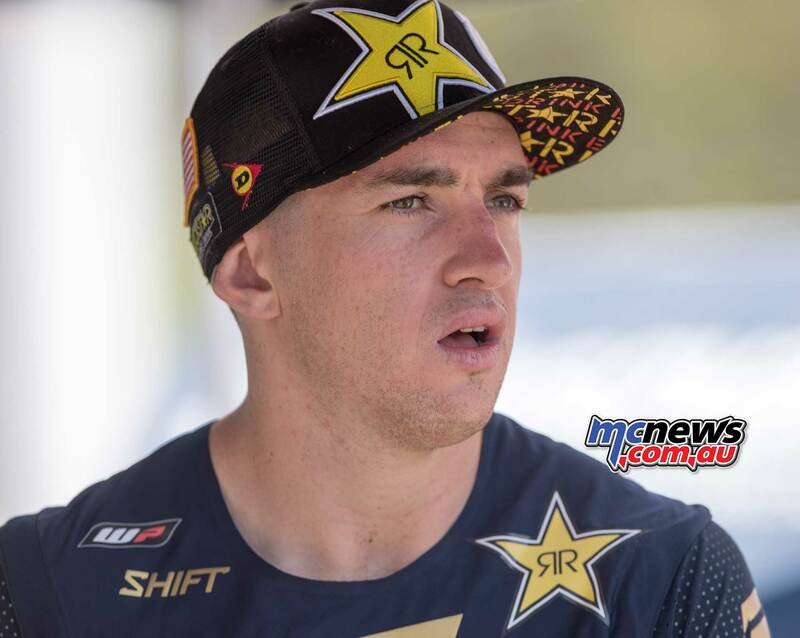 The Monster Energy S-X Open Auckland is shaping up to be a grand slam of the world’s best superstars this year, with Dean Wilson confirmed for the November 24 blockbuster inside Mt Smart Stadium. “I’m super excited to be coming to New Zealand and competing in the first ever S-X Open Auckland. It’s perfect timing for me to come down and really put in a good performance; with the high caliber names that are competing this year, if I can beat them, then I’m back on the international radar, which is what I’m aiming for. I’m sure the Kiwi fans are going to be excited you know, their first real big supercross with some fast guys and world champions, it’s just going to be a really exciting event so hopefully, they’re loud and ready for some good racing. 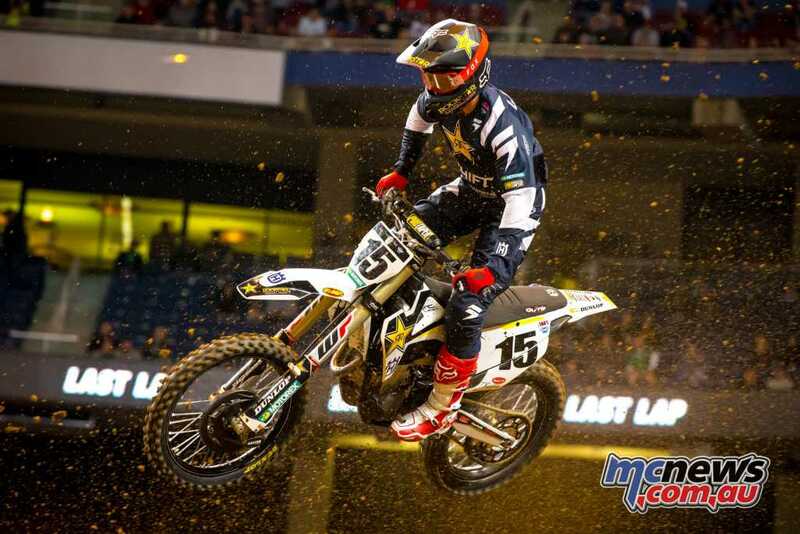 Wilson will ride a DPH Motorsport team prepared, Husqvarna FC450 at this year’s Monster Energy S-X Open Auckland. 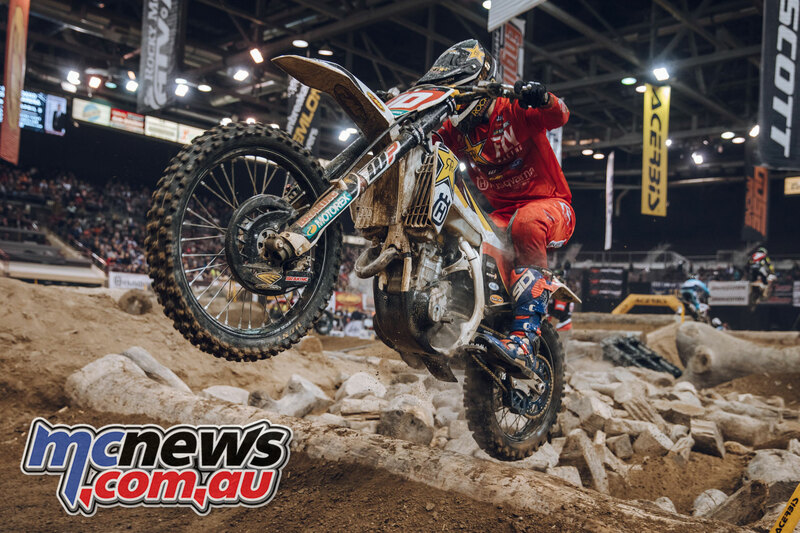 During last year’s event, the 26-year-old took top honours during the Saturday night AUS-X Open final in Australia last year, backing that up with a strong second place on Sunday. 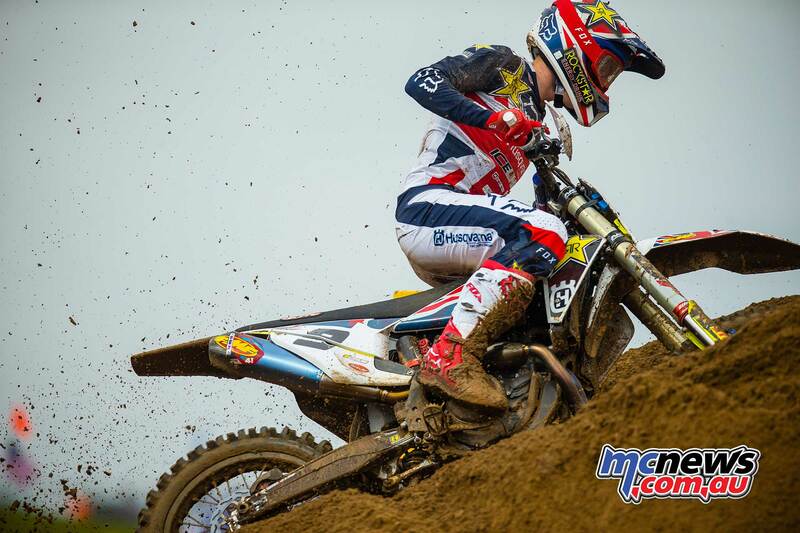 Max Anstie has agreed to a one-year deal with Standing Construct KTM to join 2018 MXoN winner Glenn Coldenhoff (moving over from Red Bull KTM) and Ivo Monticelli on the team. 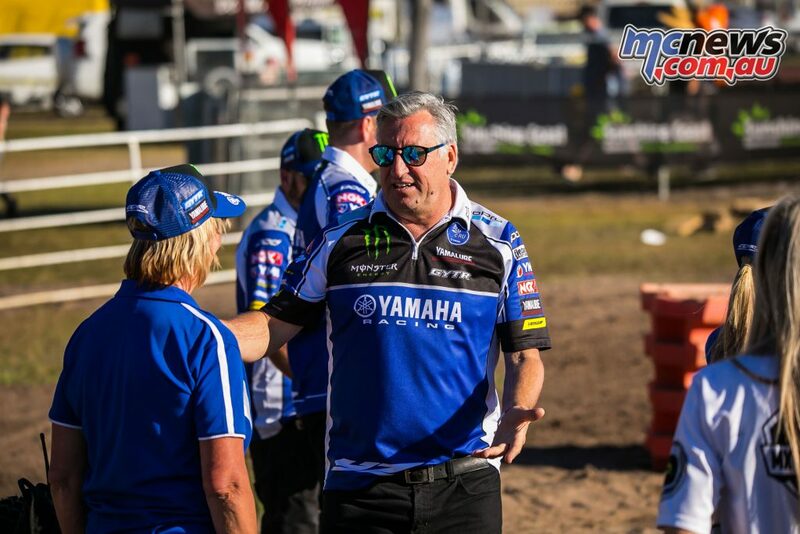 Lawson Bopping will compete on the CDR Yamaha YZ450F at the AUS-X Open in Sydney and the SX Open event in New Zealand after injuries to Dean Ferris and Nathan Crawford have left a seat vacant for the two biggest events of the year. Bopping, who raced for the team in 2012 and 2013, took a couple of years away from racing due to health concerns but returned for this years’ Australian Supercross Championship and has been placing well in the premier SX1 division where he currently sits in eighth place with just the Sydney round remaining. 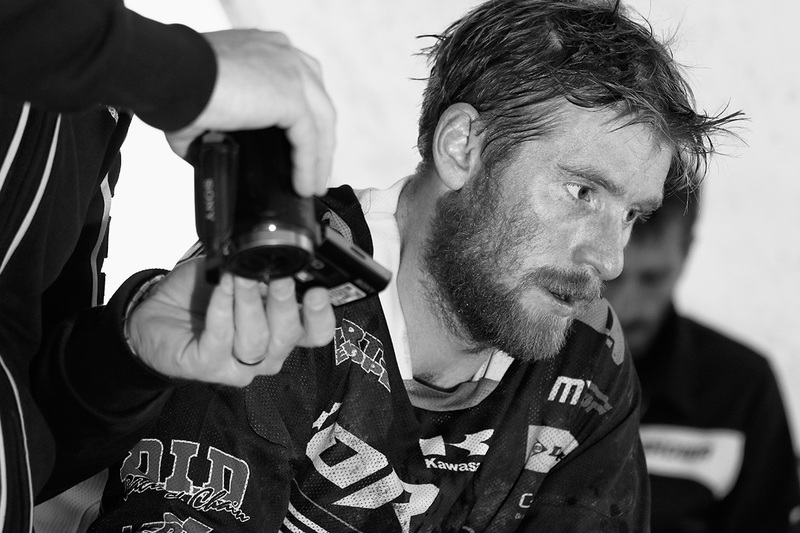 For Bopping, it’s an unexpected return to the big rigs of professional racing. At the end of the 2015 season, Bopping took some time off racing to allow his health to recover after running himself into the ground. 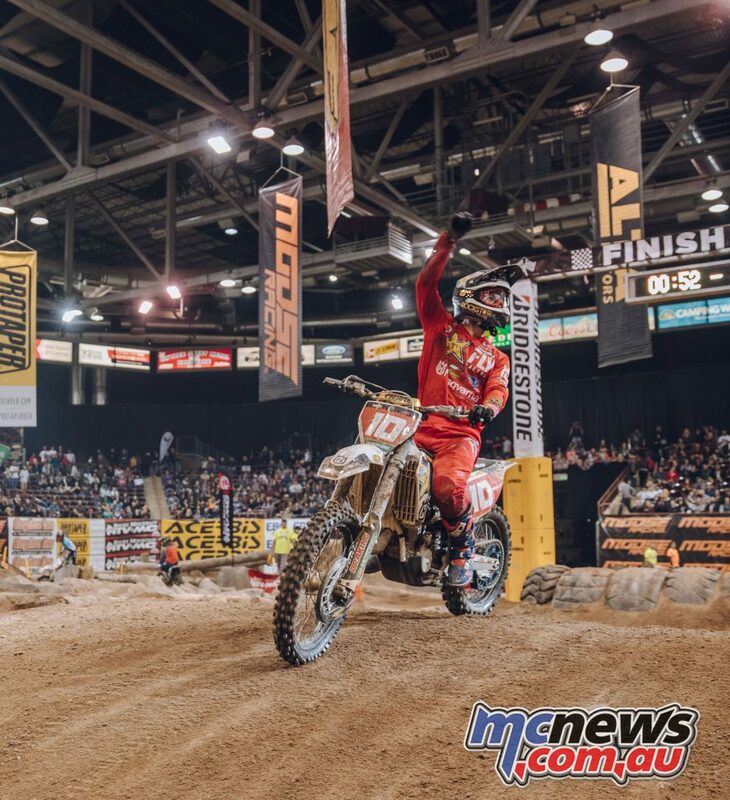 Although he stopped racing, he never lost his love for riding a dirt bike and now with his health back under control, Bopping opted to join back into the racing fray for the 2018 Australian Supercross Championship and has enjoyed life in the fast lane once again. Current CDR Yamaha Monster Energy Team racer, Dylan Long, sits fifth in the points and looking to improve at the final round in Sydney. 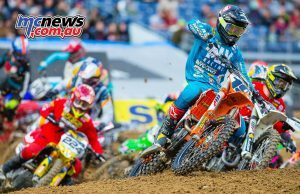 The AUS-X Open roars to life at Qudos Bank Arena in Sydney on November 9 and 10, while the SX Open in Auckland will tear up Mt Smart Stadium on November 27. 20-year-old American Cameron Mcadoo has signed on to replace Bradley Taft as Penrite Honda Racing’s sole SX2 rider for this weekend’s AUS-X and for young star can’t wait to race in Australia alongside fellow Iowa rider Justin Brayton. Team director Yarrive Konsky considered all options for the teams SX2 replacement, but felt this was the best outcome. “We looked at riders in our RED RIDER program but they are aligned with different sponsors and we didn’t feel it was justified to disrupt that. All other top 10 riders are aligned with other brands so we wanted someone who was on a Honda and could fit straight into our program,” said Konsky. Not long after helping his son Ryan compete in the Red Bull Straight Rhythm event and right in the middle of preparing for AUS-X in Australia, Dan Villopoto passed away late last week from a massive heart attack. CycleTrader/Rock River Yamaha has signed Matt Bisceglia to contest the 2019 supercross season in the 450 class while in the 250 Class Brandon Hartranft and Jacob Hayes have signed to compete in both the AMA Supercross and the Lucas Oil Pro Motocross Championships. The countdown is on for the 93rd FIM International Six Day Enduro (ISDE), as Australia’s World Trophy, Junior Trophy and Women’s Trophy Teams head off to Vina del Mar, Chile this weekend and all of our teams have the ability to take the win while we also look to Sydney for AUS-X with Chad Reed touted as the favourite to win the event once again.